It appears that some tickets, priced at $133 ($20 parking), still remain for the great metal group's 7:30 p.m. Wednesday, Dec. 5, concert at Moda Center. The North American tour kicked off Sept. 2 in Madison, Wisconsin, and will visit 34 cities. Each show starts with the "Light It Up" preshow party hosted by good friend (and comedian/actor) Jim Breuer and a deejay. For more: www.rosequarter.com. 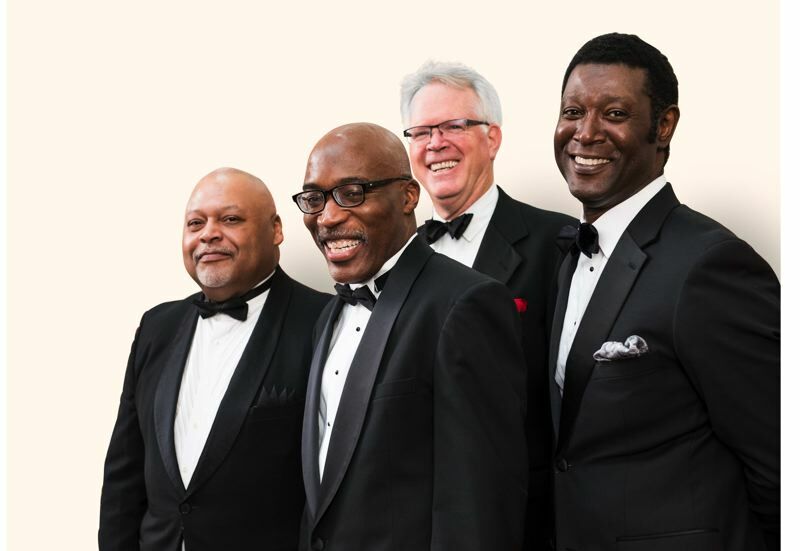 • Presented by Friends of Chamber Music, the MJ New Quartet is led by jazz pianist Darrell Grant and pays homage to the introspective elegance and sophisticated soundscape of the legendary Modern Jazz Quartet. The MJ New Quartet plays at 7:30 p.m. Thursday, Nov. 29, at The Old Church, 1422 S.W. 11th Ave. Tickets: $30-$55, www.focm.org. • Showbox Presents brings the musical collective Postmodern Jukebox to the Arlene Schnitzer Concert Hall, 1037 S.W. Broadway, at 8 p.m. Friday, Nov. 30. Tickets: $29.50-$99.50, www.portland5.com. The group was created in 2009 by Scott Bradlee and has amassed more than 740 million YouTube views and 2.7 million subscribers. It has interpreted hits by Lady Gaga, Beyoncé, The White Stripes, Lorde, Outkast, Radiohead, Maroon 5 and more. • Mary Gauthier has a new album, "Rifles & Rosary Beads," which was co-written with military veterans through Songwriting With:Soldiers, an organization that facilitates songwriting retreats with professional songwriters and veterans. Army Sgt. Joshua Geartz is featured on the album. The album has garnered an Americana Music Association Album of the Year nomination. She'll perform 9 p.m. Friday, Nov. 30, at the Doug Fir Lounge, 830 E. Burnside St. Tickets: $25-$28, www.dougfirlounge.com. Her "Mercy Now" was named one of the Saddest Country Songs of All Time by Rolling Stone Country. • Schism, a Tool tribute band, plays Dante's, 350 W. Burnside St., 9 p.m. Saturday, Dec. 1. Tickets: $12, www.danteslive.com. Schism is endorsed on Tool's website, and stands as the longest-touring tribute to the group, starting in 2001. • "An Evening With Chris Robinson Brotherhood," performing 9 p.m. Saturday-Sunday, Dec. 1-2, at Revolution Hall, 1300 S.E. Stark St., features the former singer of The Black Crowes. Tickets: starting at $25, www.revolutionhall.com. A lot of shows sell out. We'll occasionally try to alert you to certain events that don't have tickets for sale anymore, which would allow you to ask — bother? — friends to take you. Or, evaluate the secondary market. Echo and the Bunnymen plays Revolution Hall on Friday, Nov. 30, but it's sold out.